The FNB credit card has proved itself to be a very useful card to own. 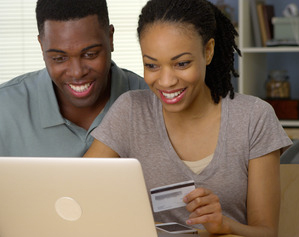 The card allows you to pay for services and goods with complete peace of mind. If you want one of the FNB credit cards such as the Lodge Card or the Business Petro Card, you will need a business account with FNB. It makes no difference whether you purchase abroad or at home in South Africa, and you need never worry about carrying huge sums of money with you. Because there are a variety of credit cards available on the market, why should you choose an FNB credit card? With an FNB credit card, you get instant savings as every swipe is free. You also earn eBucks on your credit card and get free benefits. One fantastic facility is that you can link your credit card to your petrol card. Which means your vehicle expenses are taken care of – like paying for fuel, car maintenance as well as toll fees. You will also be able to enjoy personalised interest rates. These benefits are tailored to meet your particular needs. The Classic credit card – To apply for this card, you must earn between R80 000 and R119 000. It has 55 days interest-free shopping, free global travel insurance, automatic debt protection and unlimited card swiping. There is also a personalised credit limit ranging between R3 000 to R30 000. The Gold credit card – Offered to clients with annual earnings between R120 000 and R349 999. The card has automatic debt protection, 3% back in e-Bucks when shopping online, 55 days interest-free shopping as well as free global travel insurance and AA emergency roadside assistance. The Platinum credit card – For clients earning between R350 000 to R749 999 per annum. Platinum card holders have the privilege of a dedicated platinum call centre with a team of premier bankers who are there to help around the clock. Platinum card holders receive personalised interest rates, lounge access to the major airports and free global travel insurance. They also get 15% back in e-Bucks when making use of domestic Uber rides. The Private Client’s credit card – A card for top execs earning R750 000 to R1 499 999 per annum. These customers have access to wealth specialists, courier card delivery including access to airport lounges and free comprehensive travel insurance. Plus many other excellent benefits. The Private Wealth Credit Card – Created for those fortunate to be in the over R1.5 million per annum earning capacity. This card has all the benefits of the above cards plus entitlement to up to 5 additional secondary cards. A luxury card with luxury benefits. If you would love to own any of these fabulous cards, access the FNB website at www.fnb.co.za. If you prefer, you can call the card division at First National Bank on 087 575 1111. A team of dedicated consultants are available to help you with any questions you may have. Owning any one of the FNB credit cards puts the world at your fingertips.